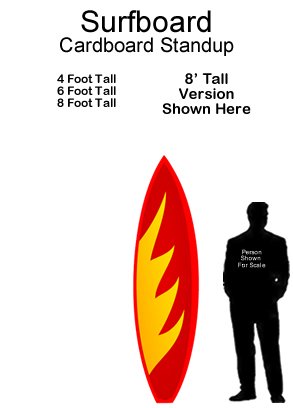 Lighthouse Cardboard Cutout Standup Prop - Dino Rentos Studios, INC. 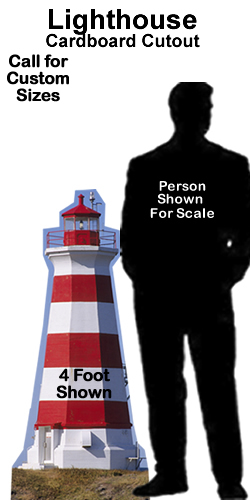 This Lighthouse Cardboard Cutout Standup Prop is great for any Naval or Beach themed display or production! I WAS VERY UNHAPPY WITH THIS PRODUCT. THE COLOR WAS FADED AND VERY CHEAP LOOKING I CAN'T EVEN A ONE STAR RATING. IT WAS A WASTE OF MONEY. THE PICTURE YOU SHOWN DOES NOT EVEN COME CLOSE TO THE PRODUCT.